The smell of rotten eggs engulfed us once we drove into Rotorua. Located within the geothermal areas of the North Island, Rotorua is the place to go for an authentic mud adventure. The muds are famous for their bathing, relaxation, healing and overall well-being. It has been used by the Maori for more than 800 years. There are plenty of parking spots on site right outside the entrance. We chose to have the geothermal walk to explore the park first and enjoy the mud bath and spa later. It was right in the middle of winter which makes the experience even better – less crowds and having a hot spa in winter is just perfect. We had the opportunity to try out the Wai Ora Mud Bath & Spa package (NZD105). It includes the geothermal walk, private mud bath experience and the sulphur spa. The private mud experience is wonderful because of the privacy that comes with it. Especially if you are going to get ‘mugly’! We left Rotorua, longing for that familiar rotten egg scent which had turned pleasantly soothing and wonderfully experienced Hells Gate! Thanks to Hells Gate for the unique experience and making this trip possible! As always, all opinions are my own to provide my readers unbiased content. Thinking of where to get your first white water rafting experience? You need to read on. My first white water rafting experience happened in New Zealand. Of all the places around the world, this is one of the most gorgeous place to raft at. There are plenty of white water rafting spots in North Island but I zoomed in towards the Tongariro River since we were doing a road trip around North Island. Being a freshie to white water rafting but with a love for water sports, my natural instinct went toward the Grade 3 Tongariro River adventure by Rafting NZ. I did some research online and found the company to have one of the best trip experiences by adventurers. To top it off, they have won a couple of tourism and safety awards. It was in the middle of winter but was assured that the wet suit would do its job of keeping warm. We chose the meet-up point at Turangi as our rafting base. It is a 4 hrs base to base journey with about 2- 2.5 hours on the river. We started off in the hanger-lookalike warehouse to change into our rafting suit. It came with hot showers and heated changing rooms. There was an area to safe-keep your belongings. At this point, bring only what you need during the rafting trip with you such as a GoPro camera. Each raft is assigned to a license rafting instructor and they did a great job in ensuring the team members coordinate their moves well. During the bus ride to the river, the guide gave a good history of region, including some very interesting mountain tales. Halfway through, we came to a spot where we were able to ‘cliff jump’. The water was cold but I thought to just try since we it was my first time rafting. I could not forget the feel of cold water rushing into the suit! Freezing good! Shortly after, we took a break along the river. We were given some River Dog (hot dog) and hot chocolate, what a perfect combination to keep us going! Spot the heaps of people lining up for the jump! Navigating through rapids was the fun portion of the rafting trip. 14kms of 60+ rapids. Thanks for Luke at Rafting NZ for making this adventure possible. This is definitely my first rafting experience and not the last! As always, all opinions are my own to provide my readers unbiased content. New Zealand South Island in a week! It is definitely do-able but not all of South Island. The itinerary revolves around the two main cities in the South; Christchurch and Queesntown. This itinerary was done in the middle of winter (July) and I did not come across any situation fouled by bad weather. My trip was absolutely blessed but due diligence checks for weather and road conditions are definitely recommended for winter travels. Road conditions can be found at NZ Transport Agency. With a certified self-contained campervan, you can literally park anywhere out of the restricted zone (mainly cities). This is the freedom that comes with it and no worries about rushing to a booked accommodation for the night. It feels like clearing checkpoints in The Amazing Race. Check out 8-Day Campervan Road Trip In NZ South Island for NZD900 because it contains the budget plan and other useful details. This route covers about 1300km, inclusive of all the detours along the way. You can choose to do it another way round which is Queenstown – Christchurch. I have heard about the gorgeous views from the plane surrounding Queenstown airport, hence it is better if you land (more air time) than to fly from there. There are certain roads such as the crown range road that is treacherous for larger motorhomes. Rental companies are unable to stop you from going there but insurance does not cover should anything happens. It is recommended that you arrange for the flight timing into Christchurch to be early so that you are able to check out the campervan rental in good daylight. If you are flying from Auckland, Air Zealand is a good choice because they are reliable and priced reasonably (checked-in luggage included). I paid about NZD190 for a return leg; Auckland – Christchurch and Queenstown – Auckland. Note that flights in and out of Queenstown usually cost a premium above other cities. I recommend to skip hanging around Christchurch and consider stocking up groceries for the campervan instead. Drive out of Christchurch to find a free campground or look for a powered site. The best app for such a trip is Campermate. Everything you need to know about campground, from discounts to dumping sites can be found on it. Spend the night at Chamberlains Ford Reserve, it is a free campground. Start the day by heading to Lake Tekapo. The route along the way gets more scenic as you get closer to Lake Tekapo. Cut into Highway 79 near Orari River to merge to Highway 8 (road leading to Lake Tekapo) instead of the longer route. Spend the night at Lake Tekapo Motels & Holiday Park. It costs NZD50 a night for a powered site. Literally, paying for view and electricity hook up. I recommend to alternate the days between powered sites and freedom camping because you get to charge the campervan (which means your devices too) and it is friendly to your wallet too. The view at this holiday park was gorgeous. My proposal took place on the following morning right after sunrise! After a night spent at the stunning Lake Tekapo, enjoy the drive up to Mount Cook. Drop by Lake Pukaki Visitor Center to get some fresh salmon and admire the beauty of the lake. The weather forecast predicted heavy snow on Mount Cook but roads were still opened the next morning! Continue the drive to Wanaka through the scenic Lindis Pass. Do not miss the Lake Wanaka Tree if you are a fan of it, definitely instagram-worthy. Spend the night at Wanka Lakeview Holiday Park. It costs NZD40 a night for a powered site. The sashimi choice was perfect for making Pokebowls! A glimpse of our campervan. Pardon my face. You can choose to do a few days here consecutively or make side trips to Milford Sound, Te Anau or Glenorchy. Glenorchy is where stunning scenes from Lord of the Rings were filmed. Try out the Ziptrek Ecotours, it brings you from the top of the gondola down to the bottom. Along the way, you zipline through the pine forests with beautiful views of The Remarkables and Lake Wakatipu. Their guides are awesome and they introduce you to the forests and the eco projects. Special thanks to Ziptrek Ecotours for being so fantastic, especially to our guides (Aashray and Tom of July 2017) for a memorable time. Tickets for the Queenstown gondola and luge are sold separately from Ziptrek. If you have problems finding a parking lot near the public gondola parking (free for 4 hours hence super popular), consider buying the gondola tickets through Queenstown Lakeview Holiday Park because you get to park there for up to 5 hours. It is a short walk from the gondola office. Don’t miss out Fergburger and Lone Star if you are looking for nice food in Queenstown. Need some cookies or sweet treats? Head to Cookie Muncher Cookie Bar to try out their cookies and drinks menu. It is expensive to spend the night in Queenstown, some people chose to stay at the Airbnbs near Frankton for a cheaper deal. 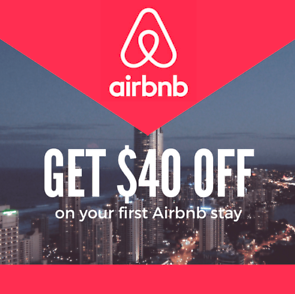 For first time users of Airbnb, you can click on my link to get NZD45 credit to be used in your future bookings, more if you start hosting (If you sign up via this link, I get NZD45 too). Spend the night at Lake Hayes Campground which is located at the northern shore of Lake Hayes. For alternatives nearer to Queenstown, you can check out the Shotover River Campground and Rotary Club of Queenstown South Carpark. All these freedom campgrounds are only for certified self-contained vehicles, their locations can be found on Campermate. Most importanly, they are free! Start the day early by embarking on a long but scenic drive to Te Anau. Once there, you can take a day trip to the Te Anau Glowworm Caves or Doubtful Sound. If you are ambitious and want to skip Te Anau and head straight to Milford Sound, take note of the super long drive to get there. There would not be any energy left to enjoy the Milford Sound Cruise so I would not recommend that. Instead, break the journey up and spend the night at Te Anau. The evening we got to Te Anau, the route leading to Milford Sound (highway 94) was closed because of snowfall. However, the Kiwis cleared it the first thing next morning. Kudos NZ Transport Agency! Spend the night at Te Anau Lakeview Kiwi Holiday Park. I found a great deal on Campermate for the holiday park offering 30% off the listed price of NZD40 a night. We ended up staying two nights there because it was too beautiful. It is one of my favourite camping spot in South Island so far. The original plan was to drive to Milford Sound for the 12pm cruise and then head all the way back to Queenstown. But as mentioned, we decided to use Te Anau as our launch point to Milford Sound. From Te Anau, it takes about 2-2.5 hours and you get to experience the Homer Tunnel en route to Milford Sound. The usual cruise takes about 2 hours, at least for the one we had with Cruise Milford. The experience at the 8th Wonder of The World was breathtaking because there are so much to be seen, from wildlife to cascading waterfalls. Thanks to Cruise Milford for the opportunity! Milford Road is extremely scenic, one of my favourite is definitely the Eglinton Valley. Soak up the sceneries before heading back to Te Anau. Spend the night at Te Anau Lakeview Kiwi Holiday Park (same as the previous night). Continue on the drive back to Queenstown and spend the rest of the day easy there. Be sure to check out the Onsen Hot Pools because they are perfect for a winter getaway. I advise to not rush flying off on the same day. Instead, spend the night at one of the freedom campground near Queenstown and book the flight out next morning. This is so that you have time to pack your campervan and do some logistics before returning it. There is a dump station at the BP station in Frankton if you are going to drop off the campervan at the airport. This is my itinerary so far, so readers feel free to amend it to suit your needs. I hope this post is helpful to future travellers to plan their South Island trip.